Straight off the success of his hit single / video “YOYO” Remix featuring top Nigerian artist J.Martins, the young gifted and talented SELEBOBO returns with another brand new hot single dubbed (YOYO Pt.2) titled “ZaminA”. Selebobo who hails from Anambra State in Nigeria and just recently relocated to Lagos from Enugu, is surely one of the top talents to emerge from the East and with several quality production credits under his belt and his Single / video “YOYO” remix rocking the airwaves, streets, parties, carnivals, music channels and clubs globally…there’s no doubt he is cementing his place in the Nigerian Music Industry gradually. Currently working on massive collaborations and features with some top Nigerian artists home and abroad, Selebobo with his quality productions, uniqueness and delivery is surely going to prove to be a force to reckon with in the very near future (Keep an eye on him)!!! 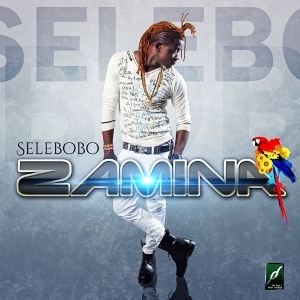 For now please enjoy this SELEBOBO produced single “ZaminA”, as this one is surely going to get you dancing...DOWNLOAD, LISTEN, ENJOY AND SHARE! Do you think “ZaminA” is hotter than “YOYO”??? Oya drop a COMMENT BELOW!! !